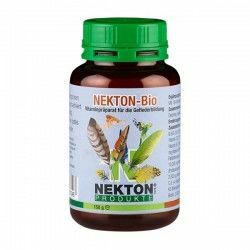 Home > Cetreria>Vitamins>Nekton Bio 375gr, (stimulates the growth of feathers). Nekton Bio 375gr, (stimulates the growth of feathers). Nekton Bio for the growth of the plumage. Especially indicated for the moult, or to correct problems of plumage, Nekton Bio is a prepared special that stimulates the growth of feathers, prevents the pecking of own feathers caused by nutritional deficiencies and ensures the formation of a plumage full and balanced. Manage during the period of the annual molt. It should be used in the case of seedlings accidental, loss of plumage caused by the bird or the birth of feathers deformed. The process of growth of the plumage is very complex. However, it is very important that each bird has a plumage intact. The plumage does not only provide a beautiful gown to its owner and allows him to recognize the members of its own species, but rather allows it to blend in with their surroundings and hide as well from their enemies. Malnutrition carries many consequences. 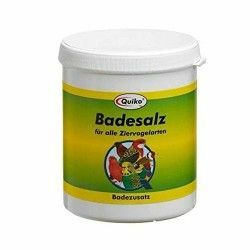 Often the feathers sick or the loss of feathers is due to the lack of important vitamins and amino acids, that the one and the other exert a considerable influence on the growth and development of the feathers. The silent French of the parakeets, a clear example of a lack of protein in the chyle of the crop of the parents. 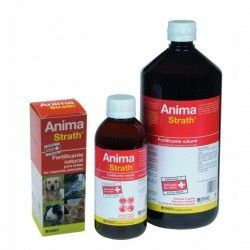 Trace elements, vitamins and amino acids are also necessary in cases of disturbances in the growth of feathers such as loss of feathers or the birth of feathers deformed. If a bird peck its feathers can be due to psychological reasons, which often are solved with a major change of the environment. However, again convieneenqiquecer the diet with vitamins, amino acids and minerals. NEKTON BIO is a prepared special that stimulates the growth of the feathers. 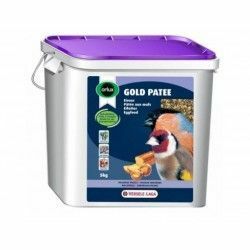 Should always be used in cases of abnormalities of plumage or of injury due to lack of food. After the research, we have obtained a preparation that contains protein, vitamins A and E, biotin and a high percentage of amino acids (lysine, arginine, and methionine). All these substances have a capital importance in the growth of the feathers. 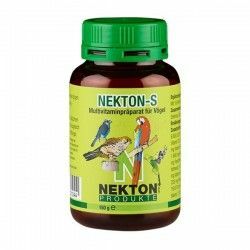 In addition to these substances Nekton Bio contains 13 important vitamins, 6 trace elements, calcium and other essential elements required for the well-being and the health of your bird. - Must be added to the water or the food. The spoon included in the container has room for 1 g of Nekton Bio. Add 1 teaspoon rasera per 250 ml. of water. If you have only one or two birds, practice a small hole in the aluminium cap and drop a small amount on the water of the fountain or on the food. A small amount is very effective. For Nekton Bio to take effect it must be administered over a long period of time, which depends on the species of bird in question. In the case of serious injury to the feathers, we advise to double or triple the dose of Nekton-Bio until they start to appear feathers new. - Nekton-Bio should not be used during incubation as this can be interrupted because of an unbridled instinct of mating by the male. - After using Nekton-bio successfully it would be advisable to continue with another prepared as Nekton S, to help prevent the occurrence of injuries or diseases due to deficiencies related to food. - Keep in a cool, dry and dark. In a see unopened and stored under appropriate conditions, vitamins contained in Nekton Bio do not lose their properties until the expiry date. - As with all products rich in protein, special attention must be paid to hygiene when Nekton-Bio is added to the water in the drinking fountain. The solution should be changed daily, but prior to the drinking fountain or water dispenser must be cleaned and disinfected thoroughly. 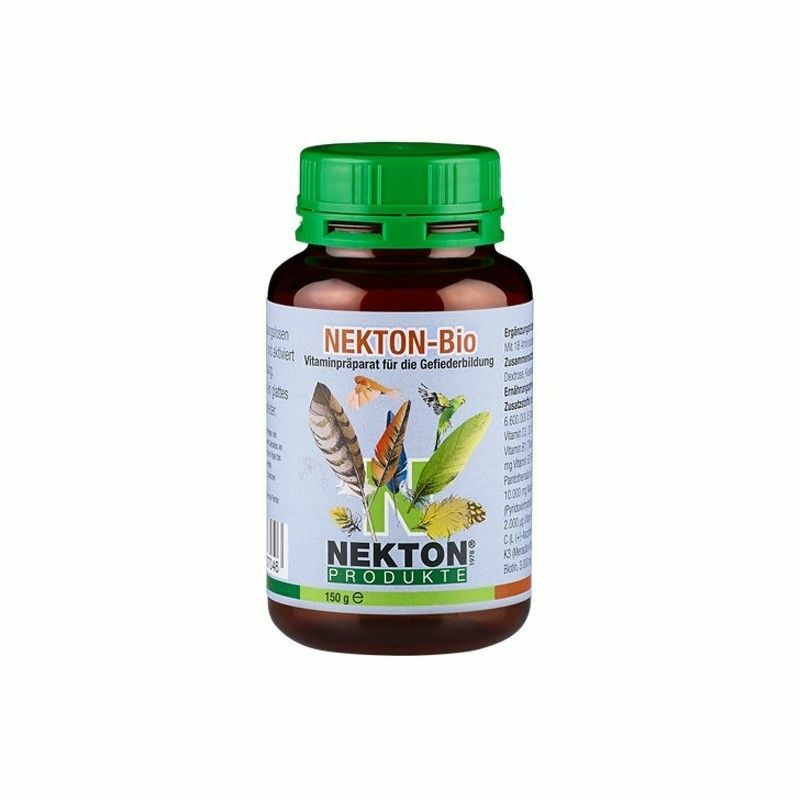 Product Name:Nekton Bio 375gr, (stimulates the growth of feathers). 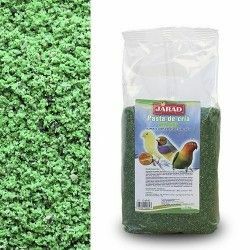 Description: Nekton-Bio are vitamins, trace elements, amino acids, calcium in the form of a powder soluble in water that promotes the growth of the plumage of the birds. 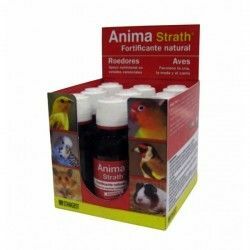 Path: Home > Cetreria > Vitamins > Nekton Bio 375gr, (stimulates the growth of feathers).